Some patients experience pterygium, abnormal tissue buildup in the cornea and whites of the eyes, that grows slowly over time. Pterygium surgery may be the best remedy. 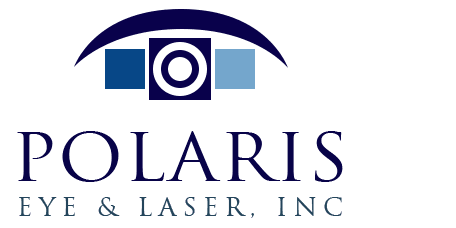 Dr. Jeehee Kim at Polaris Eye & Laser in Los Gatos, California can perform pterygium removal surgery that will correct this issue and lower the chances of regrowth. A pterygium is a buildup of scar tissue within the cornea, the normally clear tissue on the eye surface. Many people who develop a pterygium say that it feels like something is caught in their eye constantly. A pterygium often causes itchiness, red eyes, and a burning sensation in the eyes. In a very severe pterygium, the cornea can become distorted, possible causing irregular astigmatism. If the pterygium is large enough to threaten sight or grows rapidly, is should be removed surgically. What is the Cause of Pterygiums? There are several possible causes for pterygiums, including excessive exposure to UV light and living in a dusty or windy area. What is the Treatment for a Pterygium? If a pterygium causes chronic pain, shows growth, or produces a changing astigmatism, the best treatment is usually pterygium removal surgery. In this surgery, the pterygium is completely removed while the patient is under local anesthesia, and mild IV sedation may be used as well. While patients are awake during the surgery, they will be fully relaxed and not in any pain. Once Dr. Kim removes the pterygium surgically, healthy tissue can be grafted to the area where the pterygium was. This healthy tissue will become part of the eye and will greatly lower the chance of pterygium recurrence. A skillful surgeon can help reduce the chances of the condition growing back. What is the Recovery Process After Pterygium Surgery? Patients should arrange for a friend or family member to drive them home following the pterygium surgery. 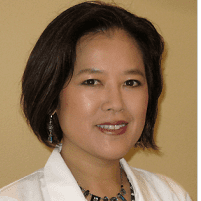 Dr. Kim will give patients post-surgery instructions to help them heal as rapidly and easily as possible. This will include resting the eyes for a day or two, and using prescribed eye drops for 3-4 weeks. Although the eyes are often slightly red or swollen for a couple of weeks, this is normal after pterygium surgery and will resolve naturally. Patients must normally wait at least a couple of weeks after pterygium surgery to resume the use of contact lenses, but eyeglasses can be used as normal. Somewhere around 3-6 weeks after the pterygium surgery, patients will notice that the eyes feel normal again and that the discomfort or pain is finally gone.